NO CHARGE 90-DAY PREFERRED LIMITED WARRANTY. Plus 12 Months Roadside Assistance. See dealer for more details. Certified. 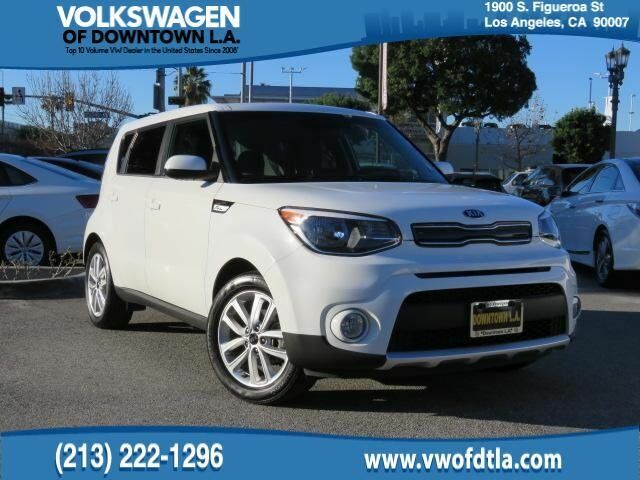 Clear White 2018 Kia Soul Plus MULTI POINT SAFETY AND MECHANICAL INSPECTION PERFORMED BY CERTIFIED TECHNICIAN, FRESH OIL CHANGE, NEW BRAKES, DETAILED INTERIOR/EXTERIOR FOR DELIVERY, Bluetooth Hands Free, FRESH CABIN FILTER, 17" Alloy Wheels, Brake assist, Electronic Stability Control, Exterior Parking Camera Rear, Front fog lights, Fully automatic headlights, Remote keyless entry, Steering wheel mounted audio controls. CARFAX One-Owner. 25/30 City/Highway MPG New Price! FWD I4 6-Speed Automatic with Sportmatic Clean CARFAX.